Interesting and relevant article published last year about ADHD. 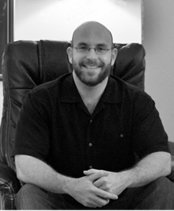 Dr. Davenport is a Licensed Psychologist at Charles R. Davenport, Psy.D., LLC.. He works with adults and children who struggle with symptoms of ADHD and ADD to use their straights to build skills to better work with ADHD. Many times Gifted students can have symptoms of ADHD that are a normal consequence of a curious and bright mind. Understanding how to use strengths to work around these characteristics can be helpful to thrive. Many times these gifted students will respond to stimulants but this is not always the best approach. The *New York Times* includes an article: “A.D.H.D. Experts Re-evaluate Study’s Zeal for Drugs” by Alan Scharz. Twenty years ago, more than a dozen leaders in child psychiatry received $11 million from the National Institute of Mental Health to study an important question facing families with children with attention deficit hyperactivity disorder (ADHD) : Is the best long-term treatment medication, behavioral therapy or both? The widely publicized result was not only that medication like Ritalin or Adderall trounced behavioral therapy, but also that combining the two did little beyond what medication could do alone. The finding has become a pillar of pharmaceutical companies’ campaigns to market A.D.H.D. drugs, and is used by insurance companies and school systems to argue against therapies that are usually more expensive than pills. But in retrospect, even some authors of the study — widely considered the most influential study ever on A.D.H.D. — worry that the results oversold the benefits of drugs, discouraging important home- and school-focused therapy and ultimately distorting the debate over the most effective (and cost-effective) treatments. The study was structured to emphasize the reduction of impulsivity and inattention symptoms, for which medication is designed to deliver quick results, several of the researchers said in recent interviews. Less emphasis was placed on improving children’s longer-term academic and social skills, which behavioral therapy addresses by teaching children, parents and teachers to create less distracting and more organized learning environments. Recent papers have also cast doubt on whether medication’s benefits last as long as those from therapy. said Dr. Gene Arnold, a child psychiatrist and professor at Ohio State University and one of the principal researchers on the study, known as the Multimodal Treatment Study of Children With A.D.H.D. A.D.H.D. narrowly trails asthma as the most frequent long-term medical diagnosis in children. More than 1 in 7 children in the United States receive a diagnosis of the disorder by the time they turn 18, according to the Centers for Disease Control and Prevention. Comprehensive behavioral (also called psychosocial) therapy is used far less often [than meds] to treat children with the disorder largely because it is more time-consuming and expensive. Cost-conscious schools have few aides to help teachers assist the expanding population of children with the diagnosis, which in some communities reaches 20 percent of students. Many insurance plans inadequately cover private or group therapy for families, which can cost $1,000 a year or more. In what became a simple horse race, medication was ushered into the winner’s circle. “Behavioral therapy alone is not as effective as drugs,” ABC’s “World News Now” reported. Looking back, some study researchers say several factors in the study’s design and presentation to the public disguised the performance of psychosocial therapy, which has allowed many doctors, drug companies and schools to discourage its use. First, the fact that many of the 19 categories measured classic symptoms like forgetfulness and fidgeting — over academic achievement and family and peer interactions — hampered therapy’s performance from the start, several of the study’s co-authors said. A subsequent paper by one of those, Keith Conners, a psychologist and professor emeritus at Duke University, showed that using only one all-inclusive measurement — “treating the child as a whole,” he said — revealed that combination therapy was significantly better than medication alone. Behavioral therapy emerged as a viable alternative to medication as well. But his paper has received little attention. “When you asked families what they really liked, they liked combined treatment,” said Dr. Peter Jensen, who oversaw the study on behalf of the mental health institute. Just as new products like Concerta and extended-release Adderall were entering the market, a 2001 paper by several of the study’s researchers gave pharmaceutical companies tailor-made marketing material. For the first time, the researchers released data showing just how often each approach had moderated A.D.H.D. symptoms: Combination therapy did so in 68 percent of children, followed by medication alone (56 percent) and behavioral therapy alone (34 percent). Although combination therapy won by 12 percentage points, the paper’s authors described that as “small by conventional standards” and largely driven by medication. Drug companies ever since have reprinted that scorecard and interpretation in dozens of marketing materials and PowerPoint presentations. They became the lesson in doctor-education classes worldwide. “The only thing we heard was the first finding — that medication is the answer,” said Laura Batstra, a psychologist at the University of Groningen in the Netherlands. Using an additional $10 million in government support to follow the children in the study until young adulthood, researchers have seen some of their original conclusions muddied further. Most recently, a paper from the study said flatly that using any treatment “does not predict functioning six to eight years later,” leaving the study’s original question — which treatment does the most good long-term? — largely unanswered. “My belief based on the science is that symptom reduction is a good thing,but adding skill-building is a better thing,” said Stephen Hinshaw, a psychologist at the University of California, Berkeley, and one of the study researchers.